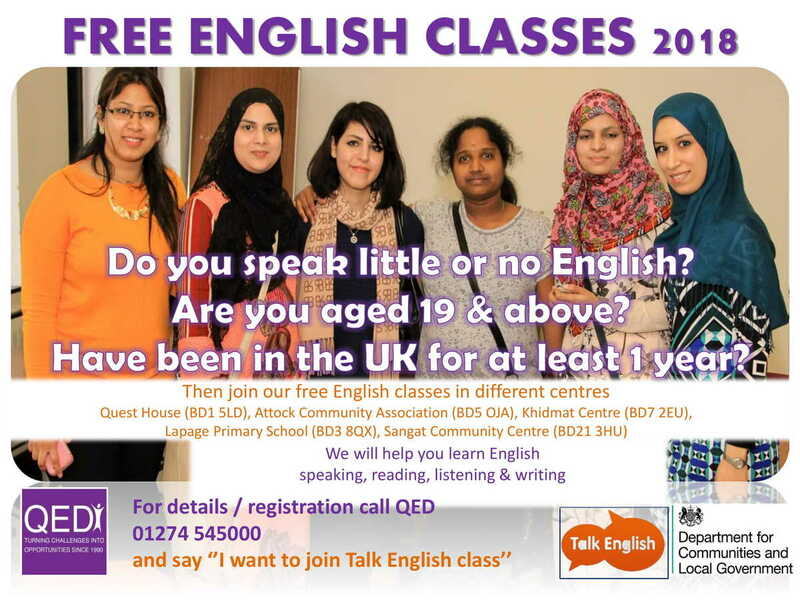 Our free English classes enable people from ethnic minority communities to learn the language, use public services and become more involved in wider society. We help you to improve your speaking, listening, reading and writing skills - even if you are not ready for college courses. You will learn in small classes led by professional teachers who are supported by volunteers. We also organise activities where you can practise your English in indoor or outdoor settings. These programmes are funded by various government departments via Shipley College. To find out more and to talk about your needs in confidence call 01274 545000 or complete the enquiry form below. 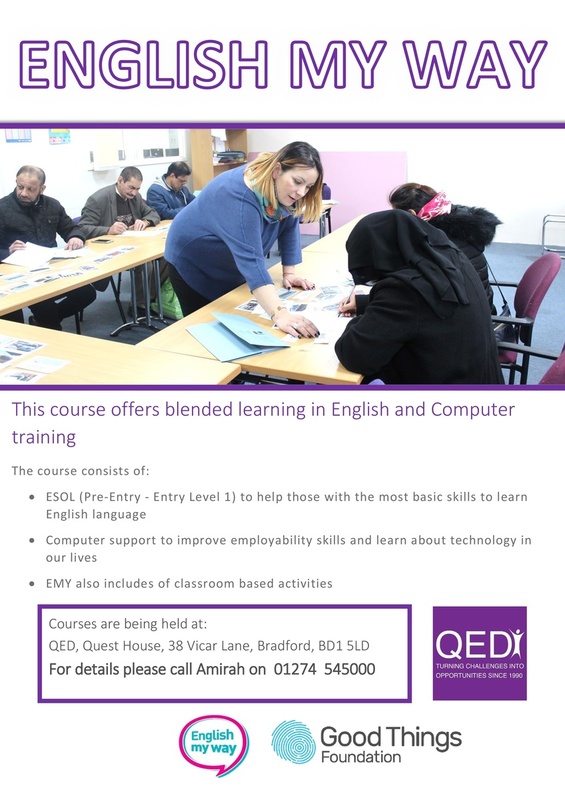 We would like to hear from anyone who is interested in becoming a volunteer ESOL teacher. It's a great opportunity to gain valuable skills or find out if this is the right career for you. You will attend a short, free training course before supporting a professional teacher in the classroom. You can also help by being a Talk English champion, offering one-to-one support to people attending our activities and helping them to practise speaking and listening in everyday situations. To find out more about volunteering for QED Foundation, visit the volunteering page.